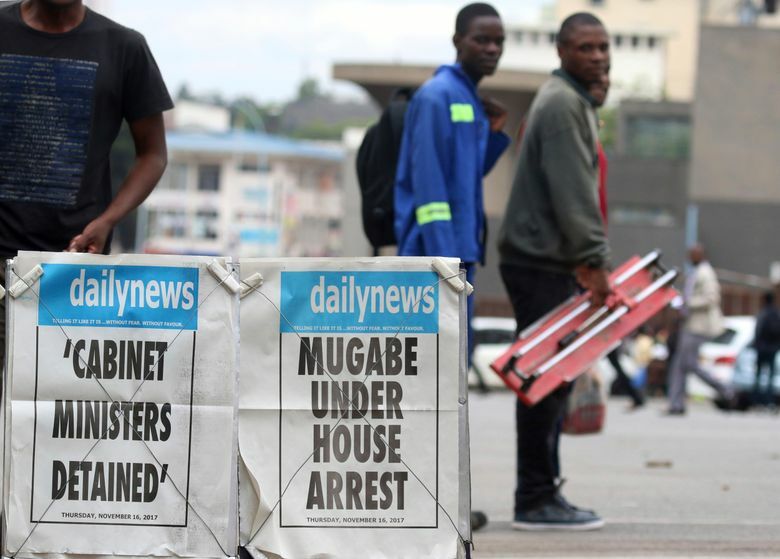 The summit puts regional leaders who have worked with the 93-year-old Mugabe for decades into the difficult position of either supporting what appears to be a coup or keeping the unpopular president, the world’s oldest head of state, in office. 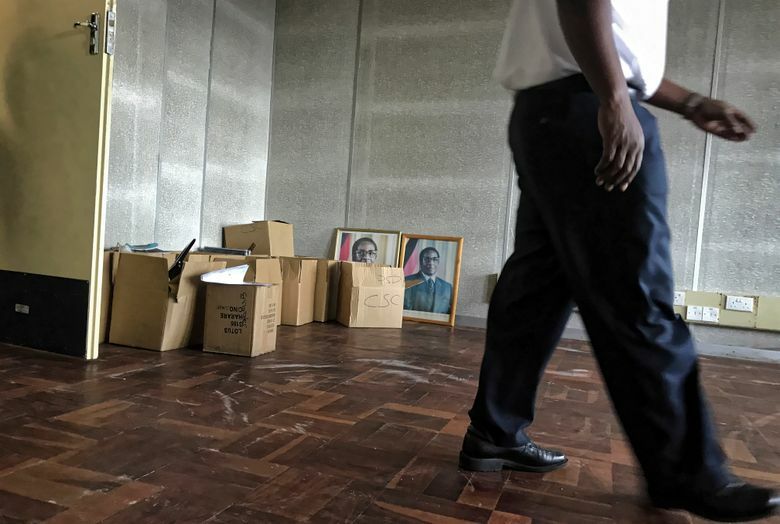 In the first images of Mugabe after the military moved in earlier this week, Zimbabwe’s state-run Herald newspaper published photos of him smiling and shaking hands with army commander Constantino Chiwenga. 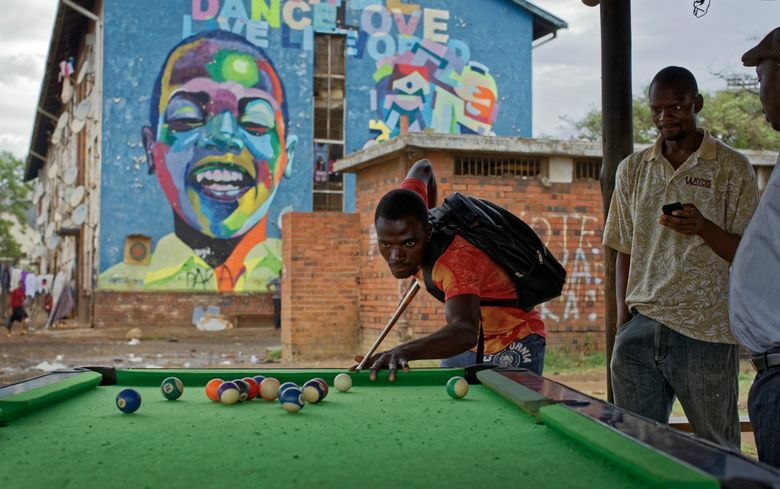 The photos also showed South African Cabinet ministers and a Catholic priest whom Mugabe has used as a mediator before. 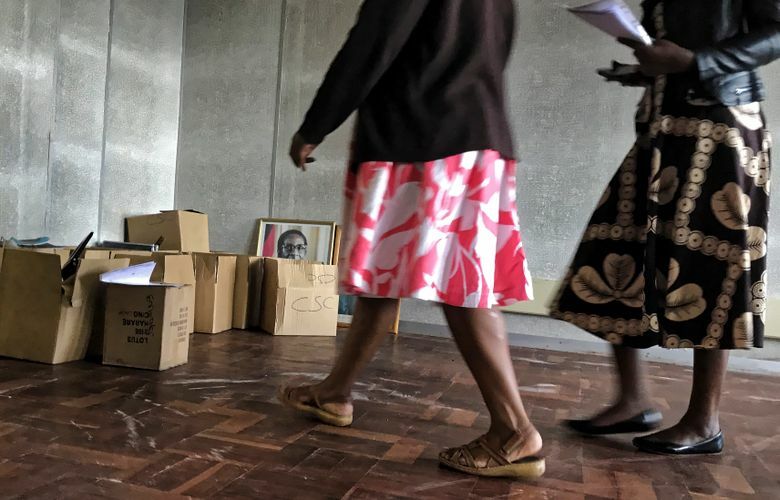 First lady Grace Mugabe was not pictured, however, amid speculation over the future of a woman whose rapid political rise had alarmed many who feared she could succeed her husband after he fired his longtime deputy last week. “This is political theatre. 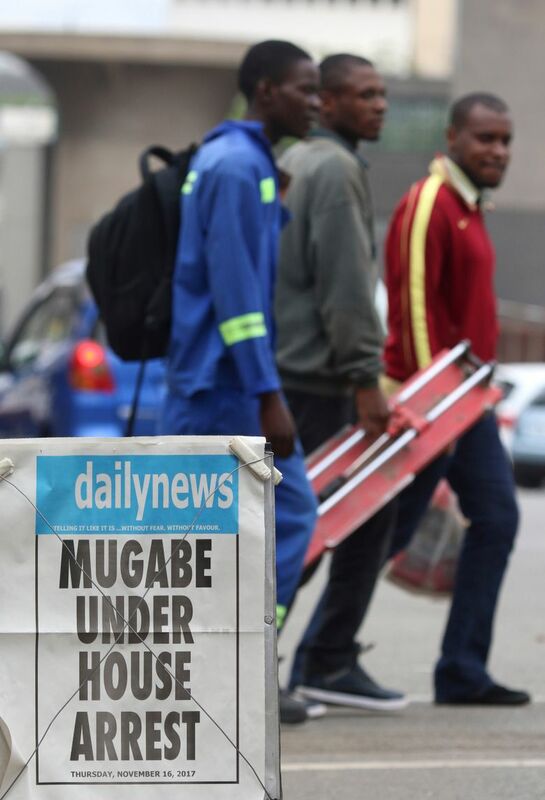 Chiwenga and the army want to give Mugabe a soft landing, a dignified exit,” said Piers Pigou, southern Africa expert for the International Crisis Group. Seizing on the political limbo, Zimbawean opposition leaders and civil society groups urged Mugabe to step aside after 37 years in power and for the country to have a transition period leading to free and fair elections. 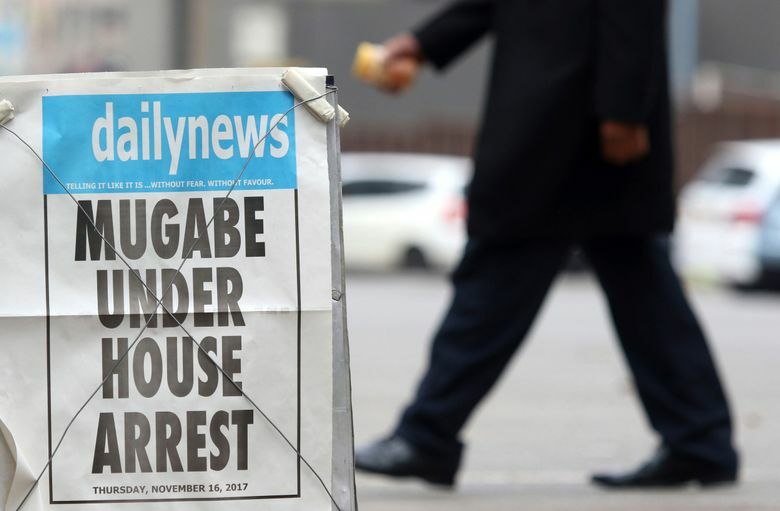 Mugabe has been in military custody, reportedly with his wife, since the army seized control of the capital late Tuesday. 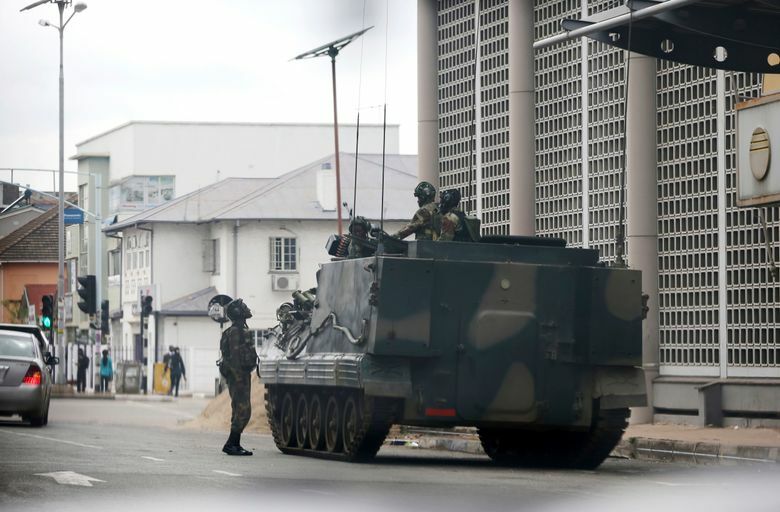 There has been no sign of former Vice President Emmerson Mnangagwa, whose firing last week angered supporters in the military amid concern that Grace Mugabe would replace him at a party meeting next month. Mnangagwa, who fled Zimbabwe saying he had received threats, is widely tipped to be brought back to lead Zimbabwe’s transition. 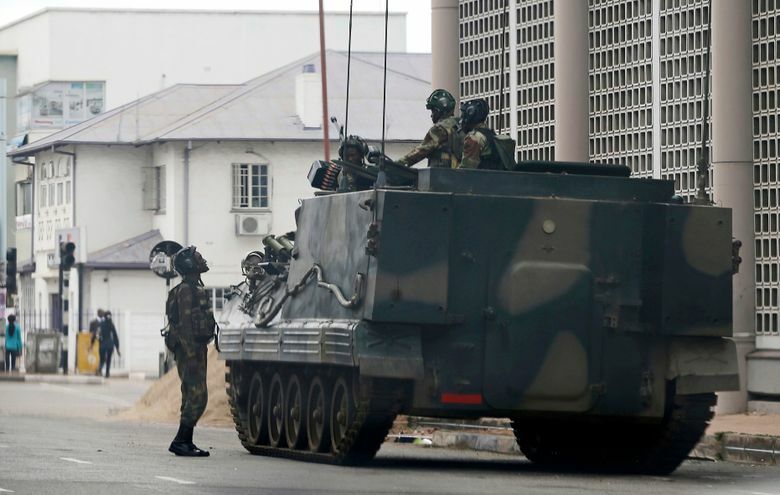 A joint statement by more than 100 Zimbabwean civil society groups urged Mugabe to peacefully step aside and asked the military to respect the constitution. A joint statement by churches also appealed for calm. He said the aim was a peaceful, managed transition and a dignified exit for Mugabe, who has ruled since independence from white minority rule in 1980 and remains widely known, even praised, in Africa as a liberation leader. 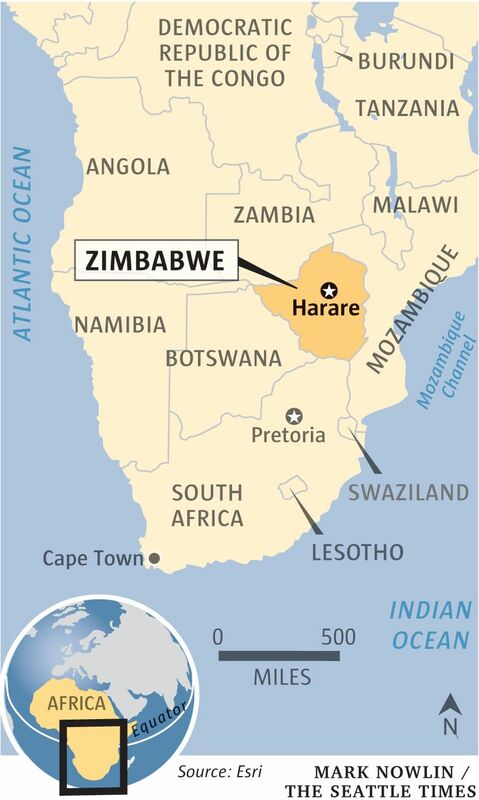 Chitiyo said he doesn’t know where the ailing Mugabe would go but that the destination is “likely driven by his health.” Mugabe frequently seeks medical treatment in Singapore. Meanwile, opposition leaders added their voices to those calling for Mugabe to step down. 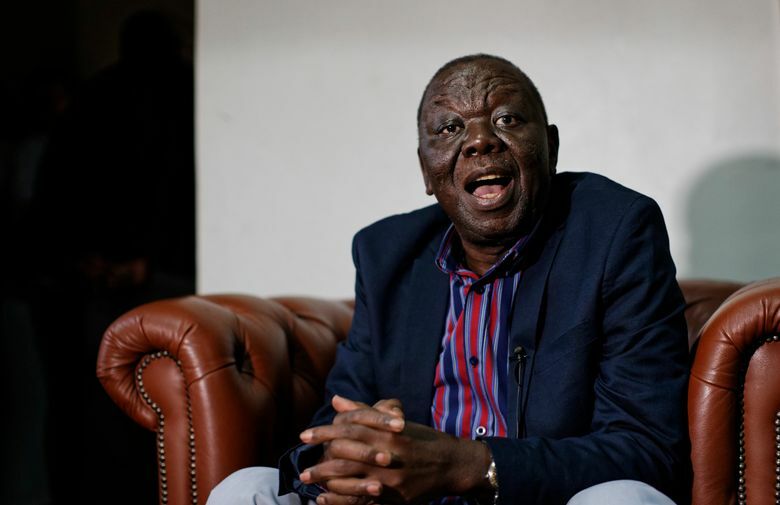 Morgan Tsvangirai, who shared power with Mugabe between 2009 and 2013, said Mugabe must resign, adding that his party would participate in talks on a transitional mechanism if approached. He pointedly referred to Mugabe as “Mister” not president. 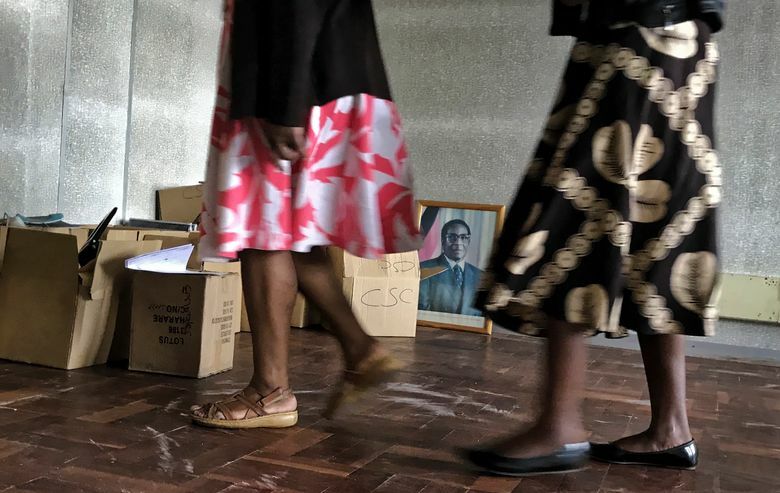 A former vice president who was fired in 2014, Joice Mujuru, called for “free, fair and credible elections” following a transition arrangement that draws from a range of communities. 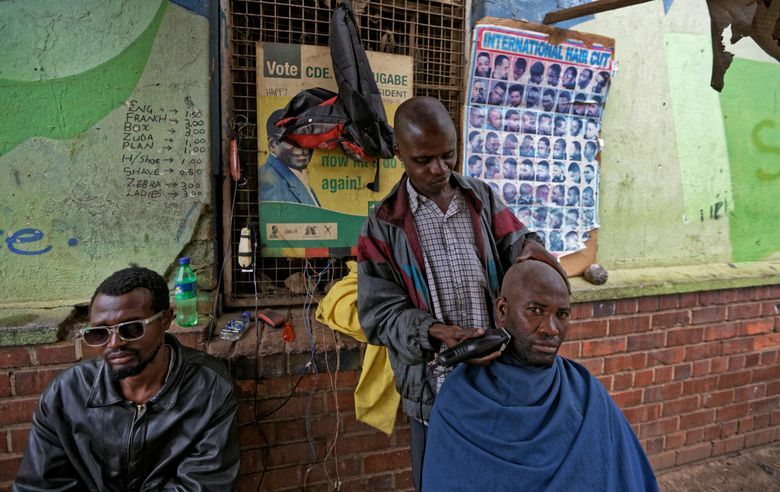 Across the country, Zimbabweans long frustrated by crackdowns on dissent and a collapsing economy were enjoying freedoms they hadn’t had in years. 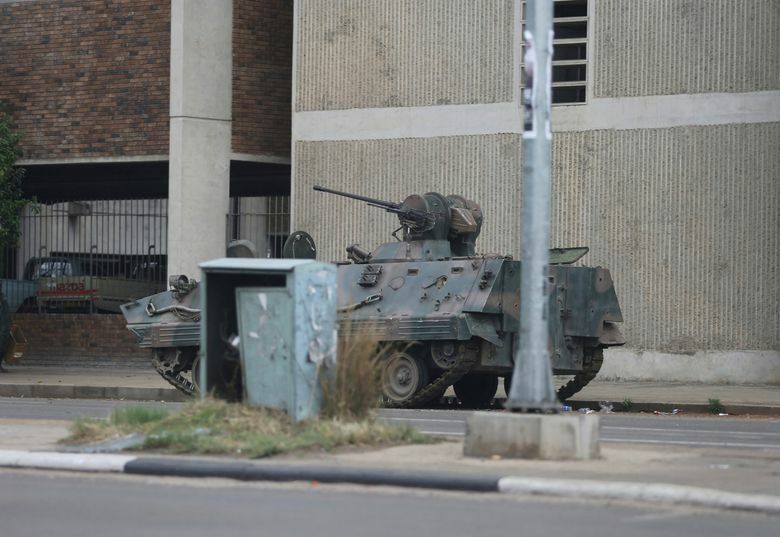 Soldiers manning the few checkpoints leading into downtown Harare greeted motorists with smiles, searching cars without hostilities and wishing motorists a safe journey. 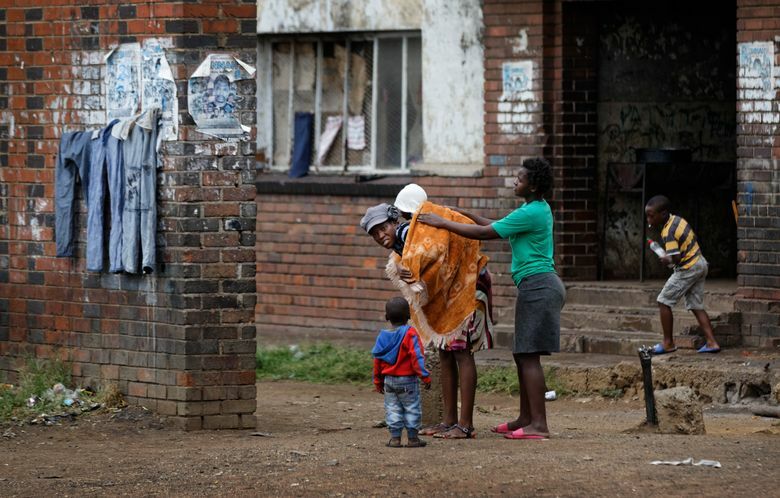 Human rights groups urged respect for rights as the drama played out. Amid persistent questions about the whereabouts of first lady Grace Mugabe, one Namibian newspaper, the New Era, reported that the country’s foreign minister denied she had fled there. 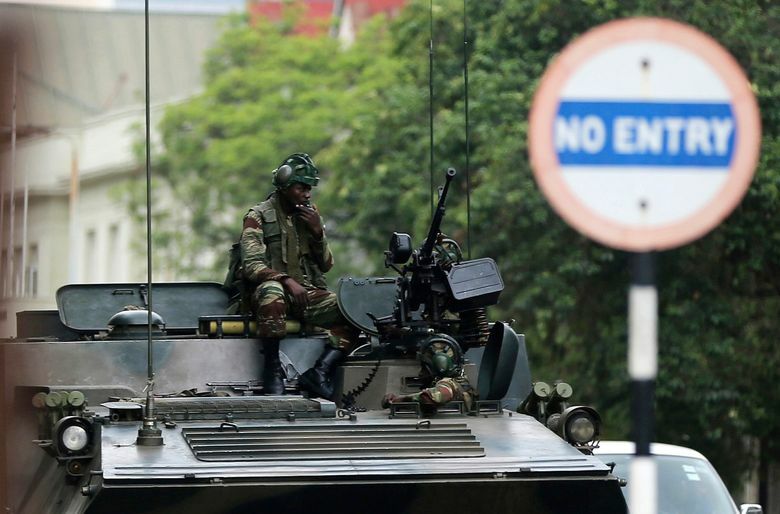 The U.S. Embassy advised citizens in Zimbabwe to “limit unnecessary movements” as political uncertainty continues. The British government also urged its citizens to avoid large gatherings and any demonstrations. 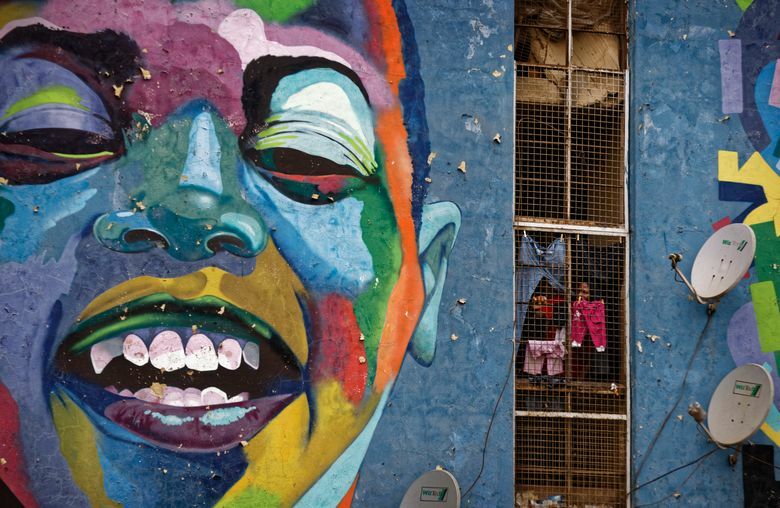 Meldrum reported from Johannesburg. 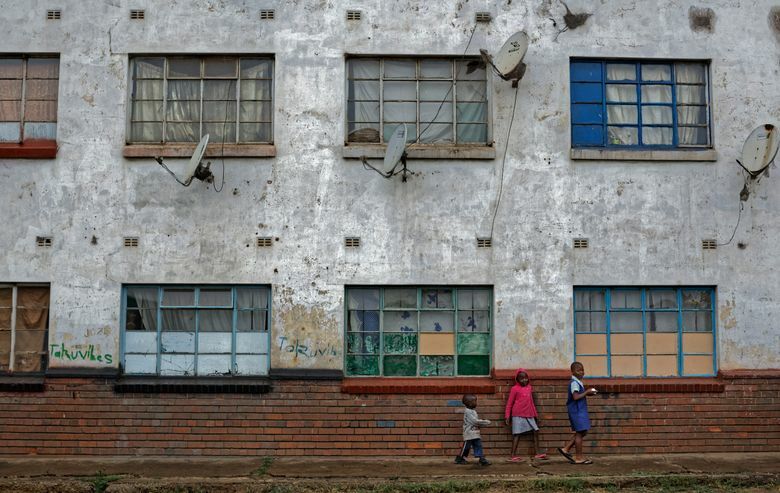 Associated Press writer Cara Anna in Johannesburg contributed to this report.